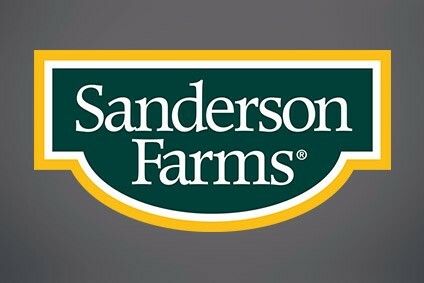 Sanderson Farms: "Supply and demand dynamics have worsened"
US non-profit As You Sow is to table a proposal at Sanderson Farms' annual shareholders meeting for investors to vote on whether the company should phase out of "medically important antibiotics for disease prevention". As You Saw put forward the proposal at last year's Sanderson Farms AGM but the idea was voted down. 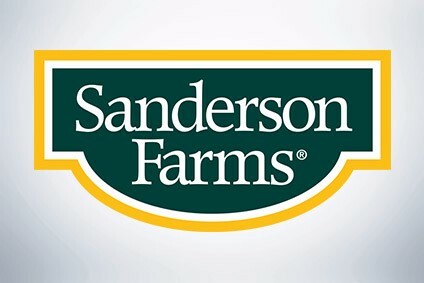 Sanderson Farms, which has opposed the proposal on both occasions, this week called on shareholders to reject the idea, arguing it would lead to "significant cost and threaten our competitiveness". In a filing ahead of the AGM, Sanderson Farms also illustrated how it saw the conditions in the market for antibiotic-free chicken in the US, where a number of the company's peers have pledged to make or have already made changes to how they use the drugs - and where high-profile customers have called on processors to act. "We believe the market for ABF products is currently oversupplied and supply and demand dynamics have worsened," Sanderson Farms said. The company did not disclose its data source but added: "Changing our operations to ABF would increase our cost of goods sold and could affect our profitability. Industry data indicate that the supply of ABF chicken is currently significantly greater than demand for the product, and that oversupply has increased. "ABF consumers primarily seek boneless breast meat and chicken tenders, so the other parts of the ABF chicken (wings and the dark meat) are sold into conventional markets. As a result, while ABF chickens represented an average of 40.5% of all US fresh chicken production for the first ten months of 2017, only 6.4% of total US fresh chicken sales were attributable to product marketed and sold as ABF. This means that only 15.8% of all ABF chicken produced was actually marketed and sold as ABF, and that 84.2% was sold as conventionally raised chicken at conventional prices, despite being more expensive to produce. "These supply and demand dynamics have worsened compared to last year. For the same period of 2016, an average of 26.4% of all ABF chicken was sold as ABF. Thus, while ABF production is significantly increasing (from 20.5% of total production in October 2016 to 42.1% in October 2017), demand for the product is not keeping pace with supply. If we could not pass on our higher cost of goods sold for ABF products to customers in the form of pricing premiums, our profitability and shareholder value would suffer." There has been growing global concern the over-use of antibiotics in the food supply chain has contributed to resistance, including in humans. The World Health Organization has called on the agri-food industry to change how they use in the drugs. "Antimicrobial resistance occurs naturally over time, usually through genetic changes. However, the misuse and overuse of antimicrobials is accelerating this process. In many places, antibiotics are overused and misused in people and animals, and often given without professional oversight," the WHO warned in November. In its proposal to the Sanderson Farms AGM, As You Saw said: "Antibiotics are losing their effectiveness due in significant part to reckless overuse in farm animal production. Sanderson Farms produces roughly 7% of the chicken eaten in the United States; to help protect public health from antibiotic-resistant infections, Sanderson Farms must quickly phase-out the use of medically important antibiotics for disease prevention throughout its supply chain. "Sanderson Farms risks losing market share to companies who have stronger policies in place, such as Perdue Farms; 95% of Perdue's chickens do not receive any antibiotics. Consumers are increasingly concerned about injudicious antibiotic use, and restaurant brands are making changes to meet the demand. A strong antibiotics policy will prepare Sanderson Farms to comply more effectively with a shifting regulatory landscape. Maryland and California have both passed legislation to ban the routine use of antibiotics in livestock." In response, the processor said: "Our customers are not demanding from us chicken that has been raised without the use of antibiotics (ABF). Rather, our customers and consumers make their purchasing decisions mainly based on price, quality and service. ABF products are more expensive to produce and appeal primarily to shoppers at high-end specialty stores. We do not market our product to these kinds of stores or to restaurants that have adopted ABF menu items." Sanderson Farms also claimed changing its policy on antibiotics would "compromise animal welfare" and "undermine our environmental sustainability efforts". It said: "We are unwilling to knowingly impact the environment negatively in the absence of scientific evidence that withholding antibiotics from our birds would have any meaningful effect on antibiotic resistance in humans. Moreover, the chief scientist of the US Department of Agriculture recently criticised the World Health Organization's recommendation that the food industry stop using antibiotics in food animals to prevent disease, stating that the recommendation was not supported by sound science." Nevertheless, the company has outlined how a new strategy on the use of the drugs could look. "As a matter of good business practice and to mitigate risk, we have developed a detailed operational plan under which we could transition our operations to ABF, should that be in our company's best interest in the future due to a change in our customers' preferences, legislative or regulatory changes or other circumstances." The Sanderson Farms AGM is on 15 February.